Science journalist Rachel Zamzow compiled a helpful list of problems in media coverage of disability-related issues, and how to avoid them. 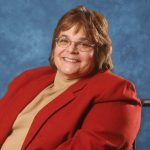 For the article Zamzow interviewed and quotes several disability writing experts including Beth Haller, Steve Silberman, s.e. smith, Julia Bascom, Alice Wong and the NCDJ’s Kristin Gilger. Click here to read the full report. Playing video games could offer some respite for people with multiple sclerosis, according to researchers at Ohio State University. The study at OSU Wexner Medical Center looks at how the interactive game “Dance Dance Revolution” can help MS patients regain some mobility. Read more.